Inspired by the Viva la Verve Sketch, I used Kitchen Sink Stamps Multi Step Carnations stamp set and Bo Bunny Pattern Paper to create my card. 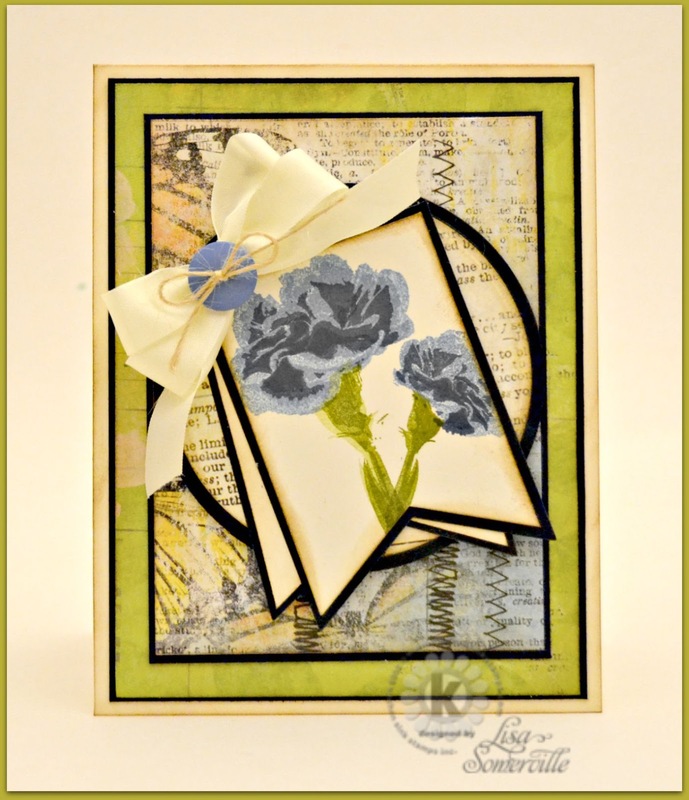 Don't forget you can save 15% off your Kitchen Sink Stamps purchases by clicking here! Great flower image and love the black outlining. Thanks for playing along! Beautiful, Lisa! Those colors are subtle, but the black makes it all pop & come together. Love how you used that layout! Beautiful card and colors. This is so eyecatching! Those inked edges just pop with the black matting. Thanks for playing along with VLV!